Twenty-three students from local elementary schools recently earned a 90-minute Long Beach Harbor expedition as winners of the nonprofit Bridges to Exploration group's Youth Environmental Contest. Winning students submitted stories, poems, sculptures, drawings and other projects. The sea safari is run by the Long Beach Marine Institute. 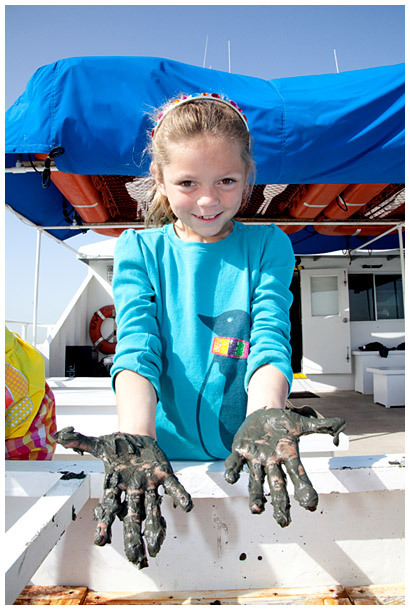 MARINE SCIENCE -- Bixby Elementary School third grader Grace Arnsparger gets her hands dirty while learning about ocean sediment onboard the Sea Creature Safari, run by the Long Beach Marine Institute.